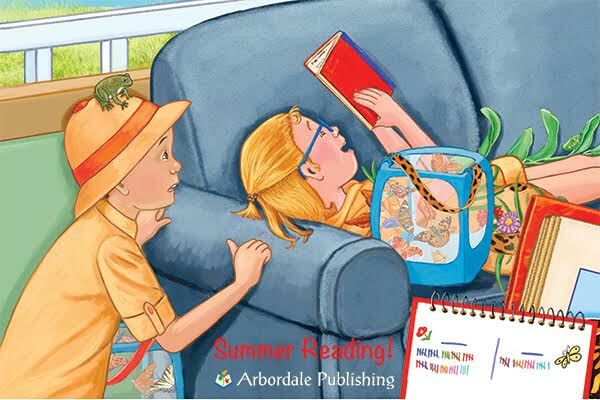 Summer Reading from Arbordale Publishing: Summer Reading Takes You Outdoors! Summer Reading from Arbordale Publishing Summer Reading Takes You Outdoors! Back by popular demand, Arbordale Publishing has a new summer reading program for families. For 2018, they handpicked 10 books that showcase animals found in your backyard and others that might require a trip to see. Either way, learning about nature is always fun. Go from the screen to outside for a scavenger hunt, start your own kids’ book club, or learn about seashells even if you can’t get to the beach!